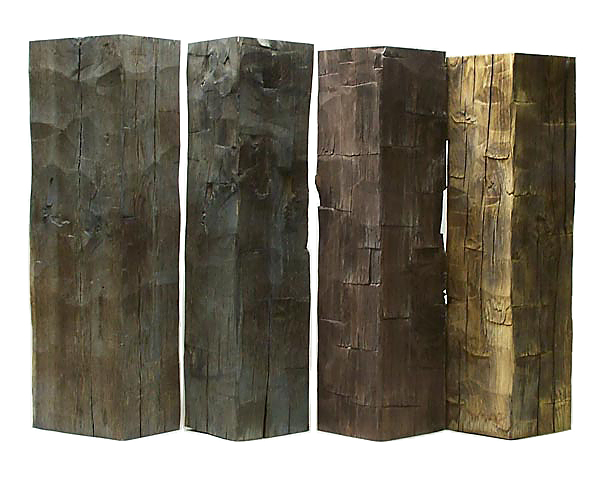 A gallery of the various Texture, Colors and Finishes available which include hewn and adze textures, rough sawn texture, hand planed surface, weathered surface, chainsaw texture, bandsaw texture, burning and brushing surface, wire brushing, skip planing, stroke sanding. coloring using aniline dyes, ammonia fuming, foot worn surface, original surface. peeled bark timbers and bark-on timbers. Below are examples of various textures, dyes, and coloration that are available. There are too many variations of color and textures to list them all here. 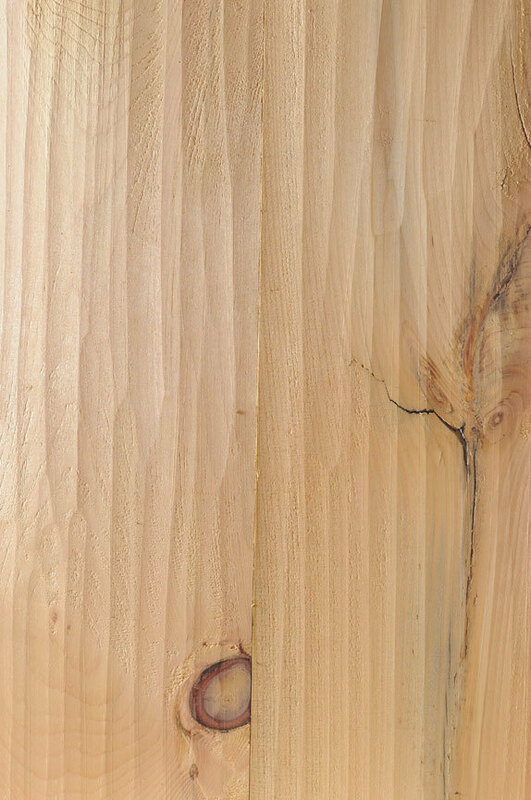 Architectural Timber has been involved in replicating and matching unique textures and colors over the years and has developed an extensive recipe book for reference. Examples of some of the textures available are also included at the bottom. 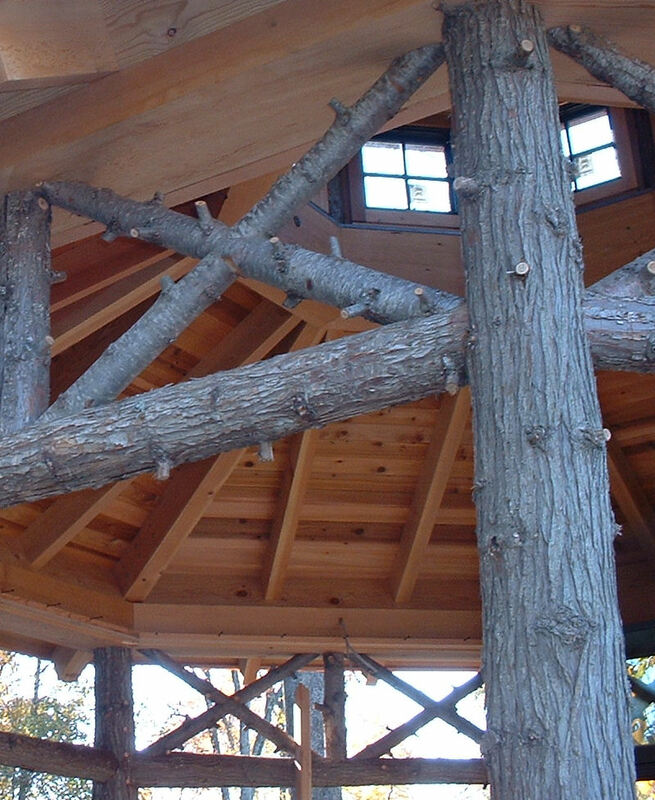 Utilizing a wide selection of chemical treatments, dyes and other processes we are able to achieve a variety of tints and hues in hand hewn beams. 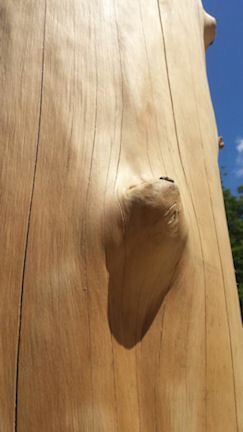 There are numerous textures, rustic or refined, available for inclusion with any timber application. Coloration and Surface Finishes for flooring, ceiling and wall paneling. 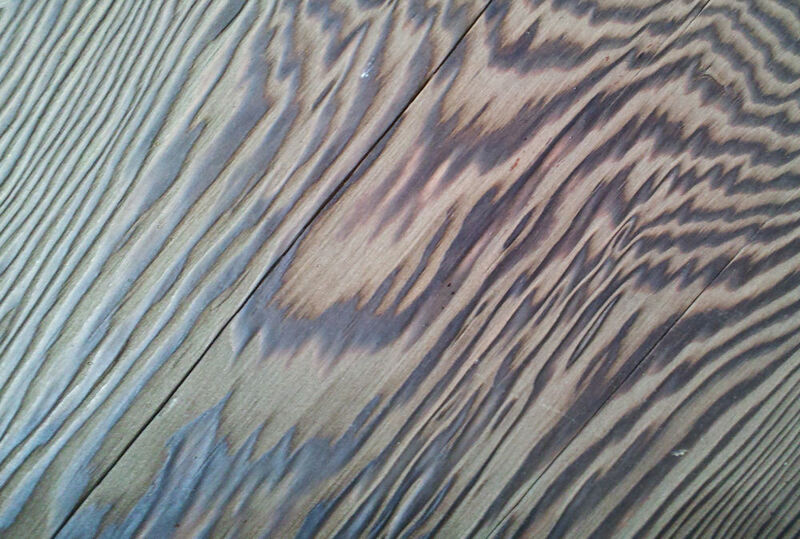 Applying techniques developed over years of experimentation Architectural Timber & Millwork can prepare a custom traditional, textured or colorized finish for flooring or paneling. Textures and Surfaces available for flooring, ceiling and wall paneling. A foot worn floor is a floor carefully recovered from another older building slated for demolition. 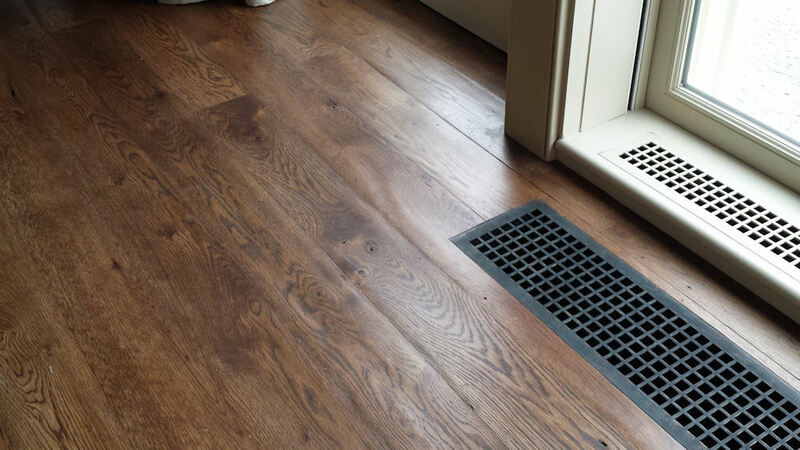 When skillfully installed these floors give the appearance of a floor aged in place. 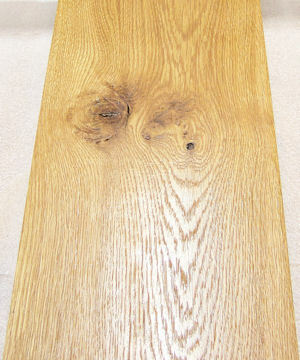 Because of its limited availability it is a very expensive floor. 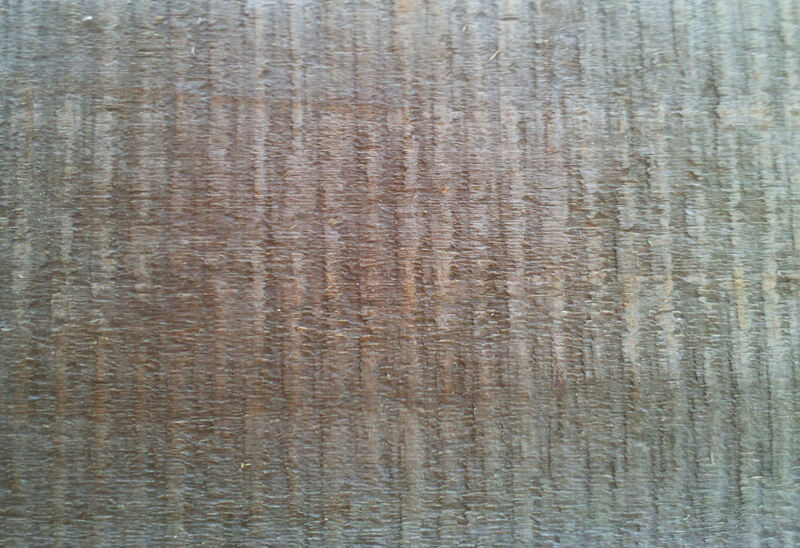 This surface is acquired by hand planing boards using a slightly scalloped blade in a hand plane. 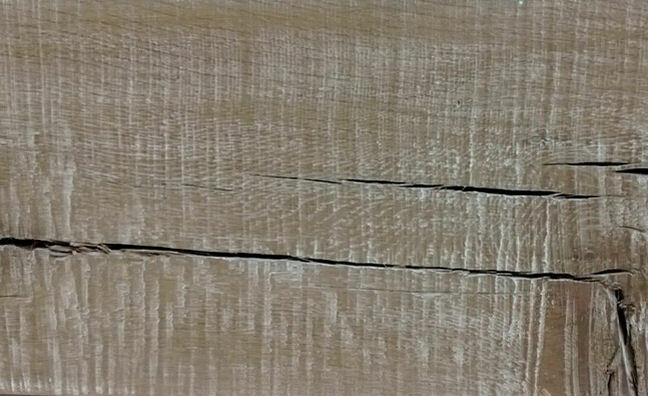 The affect is to have boards with a smoothed but slightly uneven surface that is reminiscent of the early hand made boards from an earlier time. This treatment can also be used in combination with stroke sanding to minimize unevenness. This is the conventional flat, smooth flooring surface achieved through the use of modern machinery. Wire brushing a board can alter the surface by increasing the softer spring growth leaving the harder more resistant winter growth at the original height. This provides a weathered appearance without the excessive checking and splitting that weathered boards have. 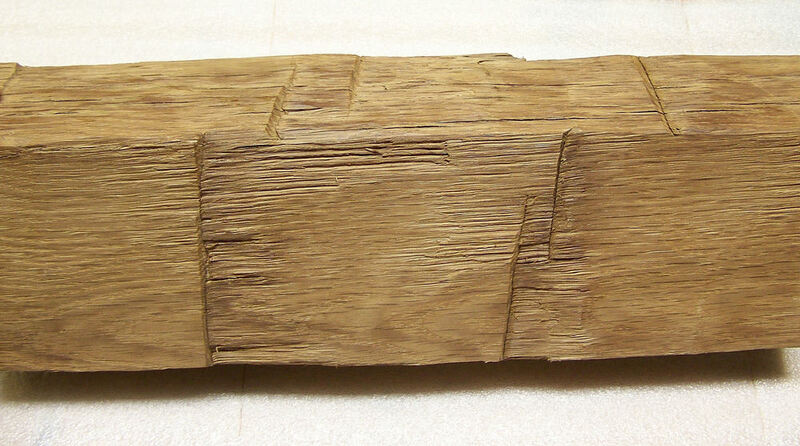 This particular sample has also been burned prior to the brushing. By careful manipulation of the bandsaw blade we are able to create an attractive, highly uniform and more dramatic bandsawn surface. 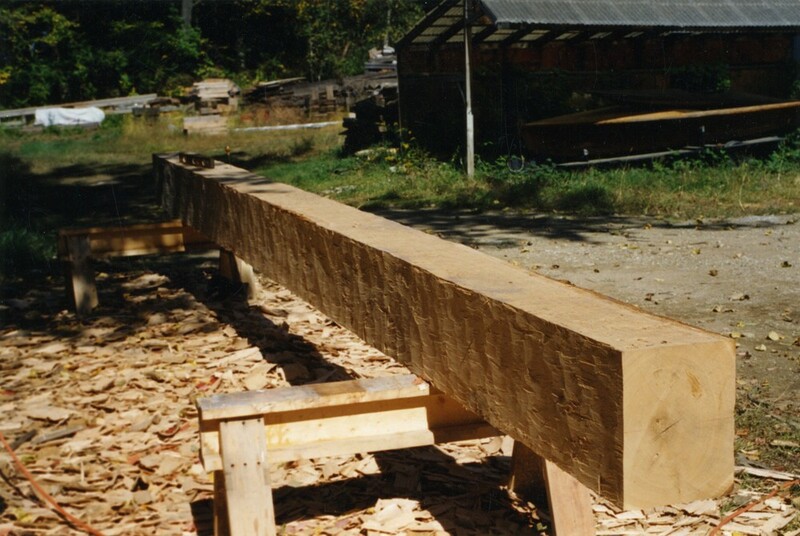 This technique can be applied to both beams and boards. 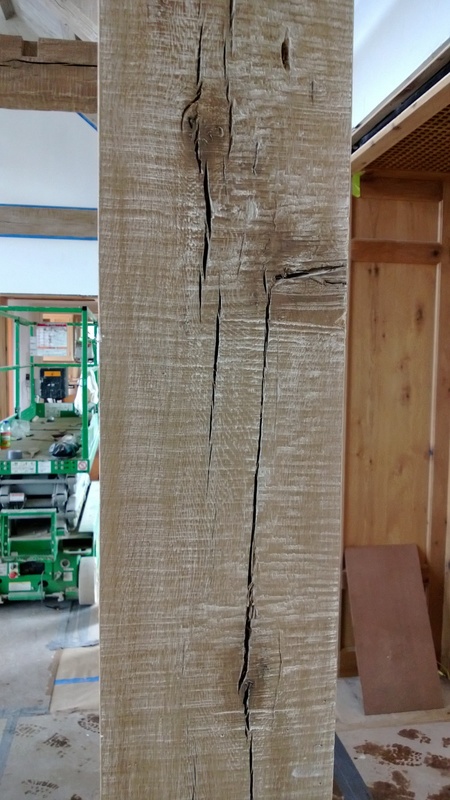 By skillfully touching a chainsaw to the surface of beams or wall paneling we are able to achieve a consistent rustic appearance while maintaining a fresh look. 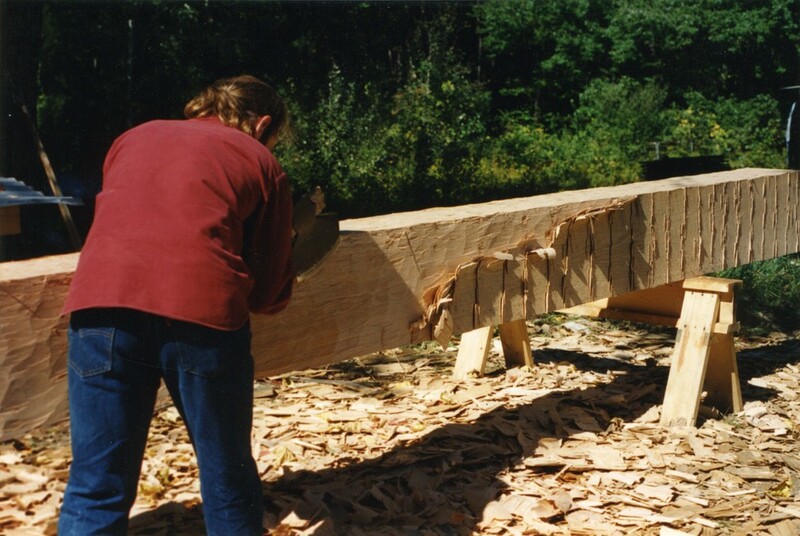 Stroke sanding is a technique that is used to minimize board roughness in a rough rustic board or replicate the smooth uneven character typical of an old foot worn floor board. 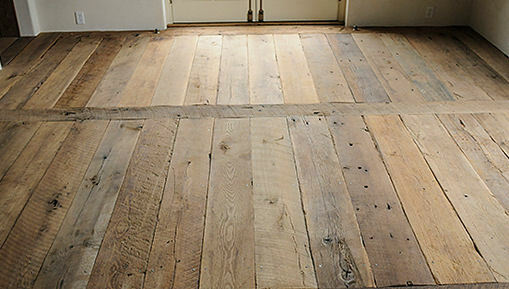 Re-working rough sawn boards into flooring without altering the original rough surface and patina can provide a truly rustic floor. 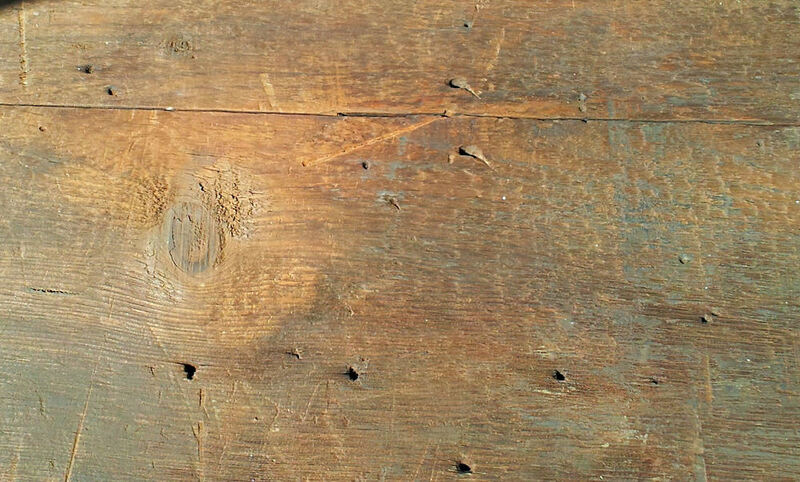 In this photo the boards have a particular rough surface. Original surfaces boards can be modified to be less rough.